Do you know what is the real reward is when you get what you want? I didn’t always understand it myself, but in today’s story time I am going to share it with you. And it’s likely not what you think. 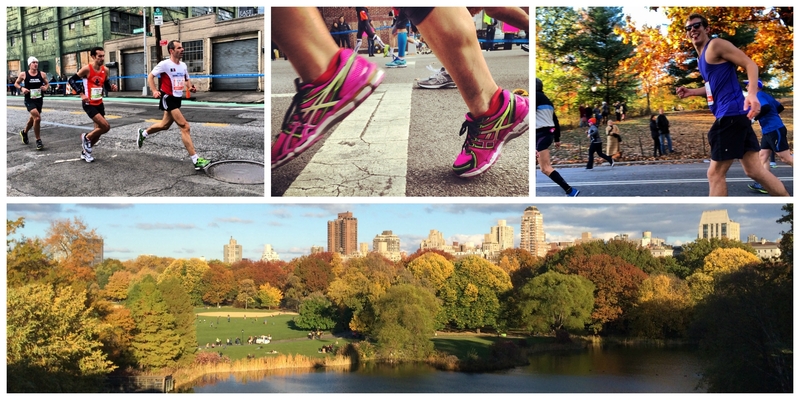 This weekend I watched 50,000 people run the NYC marathon. It was like watching one miracle after another pass by your very eyes. Most of these people, including my friends Rich Binning and Ciara Pressler were running anywhere from up to 4, 5, 6, 7, and some 8 hours straight! When was the last time you did anything physical for more than 4 hours at a time? Unless you have some serious injuries, most people CAN run for even a little bit. My 69 year old aunt runs almost everyday at a pace most people walk faster than, but she is still running. The actual PHYSICAL act of running is not all that different from walking. If you run really slow (and that is the BEST way to start training), you won’t be much more out of breath than if you were taking a soul stroll. Your body is so much stronger, capable and more powerful than what you give it credit for and is fundamentally designed to move. Everyday. So what IS the bigger challenge of running (and frankly most of your life’s challenges)? It’s getting through your own mental and emotional gunk each time you set out to do something you have never done before. “My knee hurts.” “This is boring.” “I’m not athletic.” “How much longer?” “I am just not a runner.” Etc. Overcoming your own personal hurdles and roadblocks is really where our biggest challenge sit. And because of this, the real reward of accomplishing anything big, whether it’s running a marathon, going to your first yoga class or growing a multi-6 figure business, is not at all related to the THING you win or receive. It’s not the money in the bank, the medal around your neck or the bragging rights you get for holding crow pose without falling on your face. In fact, it is almost never the THING you get that makes you cry like a baby or jump for joy for a like a 6 yr. old on Christmas. Check out Rich’s emotional moment as he crosses the finish line. It’s truly amazing. Rich’s tears are not just because he was exhausted. (Though that is part of it.) His tears are flowing in part from the fact that he just spent the last 4.5 hours, strike that, 6 months of training, overcoming his own mental, spiritual and emotional challenges. You see, it’s the person you had to become in order to succeed, that is quite possibly the biggest benefit you gain when accomplishing anything big. This is the person who rose up beyond what even they thought was possible. This is the person who believed when no one else believed, took actions when afraid and didn’t let that little tiny voice in their head stop them. And this is NOW the person YOU get to be moving forward. Confidence now lives in your cells. You see yourself in an entirely different light. And trust me when I say having that fill in the blank moment will give you the hutzpah and confidence to create other fill in the blank moments. Cause that’s just how confidence works. And frankly, that’s better than any money in the bank or medal around your neck. It not the thing. It’s never the thing. It’s who you became to get it. Now, I would love for you to come on over HERE, to the blog, watch Rich’s video and then in the comments, tell me about about ONE big challenge you overcame and what was the ONE thing you gained personally, that has served you in other areas of your life since? Sarah, this is awesome. Love that you recognized graduating from college was a big CONFIDENCE builder. Wonderful. This blog post is so perfect!!! Every year I love going to watch the NYC Marathon and EVERY YEAR I always say “I want to do this, but I can’t run!” Well I’m through with that kind of talk. I’m going to do it. Come hell or high water, I’m going to do it. I was able to lose 30 lbs and keep it off and I was able to get on a daily exercise routine. If I can do those things…I CAN DO THIS! Thanks for the inspiration Mama E!!! More generally, I took away the lesson that good things happen when you rock your own boat. Rock it babay! Cat! I literally got chills reading this! Go YOU! Go LOVE! Thanks for sharing. No doubt your story will inspire others lookin’ for luuuuuv! Loved this blog. It totally made me be like “oh jeez why do things feel so deliciously effortless and easy even when I’m busy and working hard for a full life” and it’s because I went through the trenches and the quick sand and got through it. I recovered from an eating disorder and years of disordered thinking/eating and to think back and remember my early years of therapy having to find food friendly, journal write, do yoga which I never had done before, and relapsed quite often, and then conquered again, to thing it doesn’t live in me anymore is shocking. Sure, like any woman I look in the mirror sometimes and think oh jeez my tummy love or my hair looks frizzy. But I no longer sacrifice my well being, I cook and eat healthy and LOVE food and most importantly fitness (mostly shrink session these days ; ) . So funny that I hadn’t take the time probably in the last year to reflect and high five myself, but this blog inspired me. Thanks Erin! Erin, your posts are always so timely – I’m not sure how it happens. Divine synchronicity, I guess. I literally had a dream about running last night – all my friends were running, but I had come to the conclusion that my body just wasn’t designed for it, so I counted myself out. Totally felt like a cop-out, even in my dream. Wonderful food for thought. Thanks for another great post! This post was perfect timing. I also ran the NYC Marathon this year (first marathon ever). I think missing my goal time made me realize I need to enjoy the journey and not the final time. Both were key in me getting to the finish line but also (and more importantly) this race made me start enjoying the journey and not to write off the whole experience based on some predetermined and unchanging “goal”. What a beautiful post. I can relate to that emotional finish.. Shrink Session online is HERE!